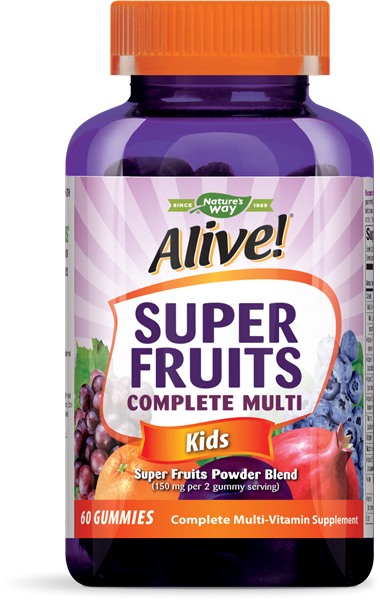 Alive Super Fruits Kid's Multi Gummies - Nature's Way®. Children 2-3 years of age, chew 1 gummy daily. Children 4 years of age and older, chew 2 gummies daily. Instruct child to chew the gummies thoroughly before swallowing. Do not exceed the recommended daily dosage. If child is taking any medications, consult a healthcare professional before use. Not for children under 2 years of age due to choking hazard.